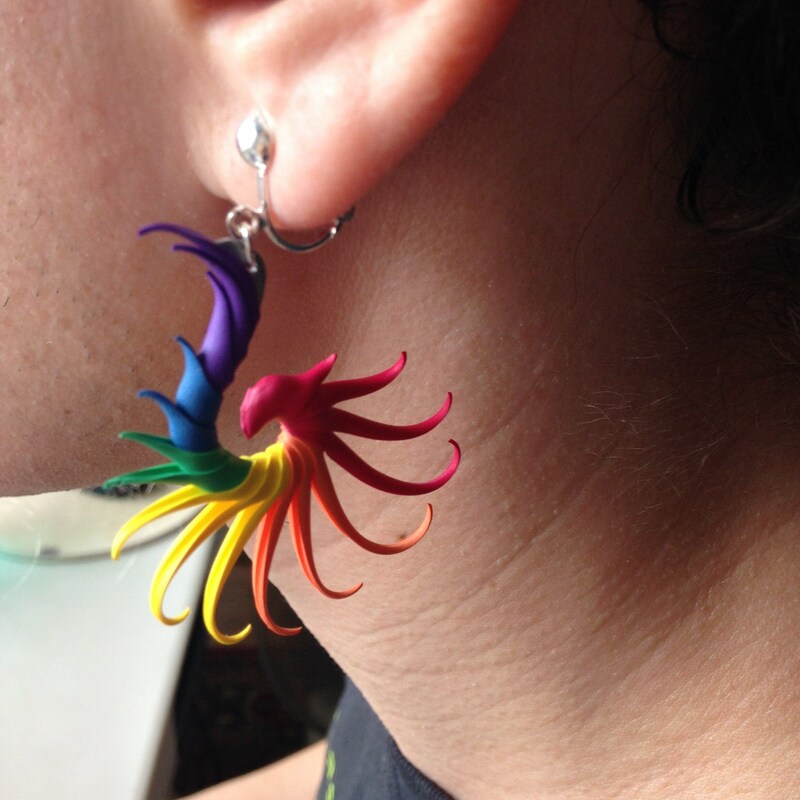 A small version of the Rainbow earrings. 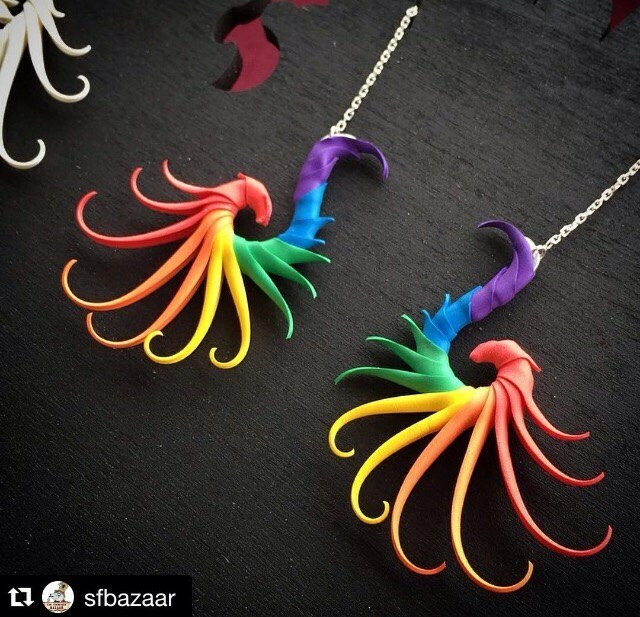 These bright, happy colors are fun to wear and make a great statement piece. These earrings will be made to order, so please allow 3-4 weeks for delivery. The earrings you receive may have slightly different proportions, a different number of "feathers", etc, but the overall design and colors will be the same. Made with carefully layered sections of hand-cut latex-free rubber, these eye-catching earrings are inspired by the growth patterns of plants and animals. Each piece is lovingly hand made in the USA; as in the natural world, no two are exactly alike. We hand cut each soft, flexible rubber spike and set them over an aluminum armature of our own unique design, combining casting and hand forging techniques. Spikes are very flexible and will not hurt or damage items. They are durable, yet extremely lightweight! Pieces are approximately 1 1/2 inches long. 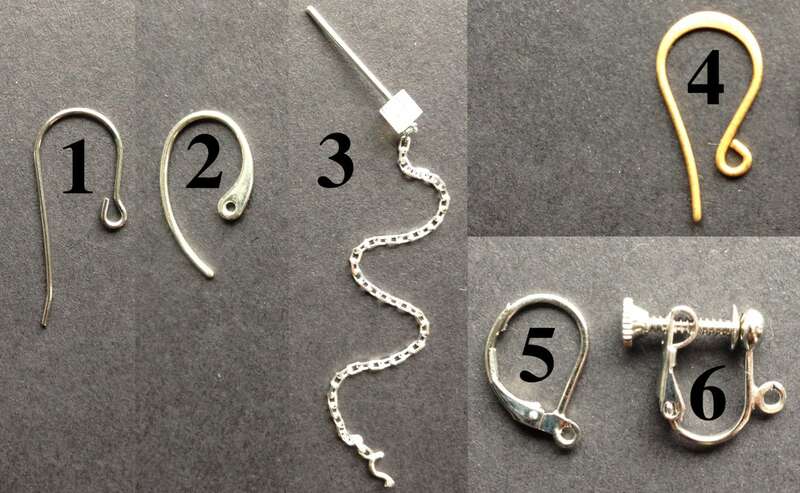 Recommended ear wires are hypoallergenic surgical stainless steel, and unlike silver, will not tarnish. Sterling silver, which requires more care, is also available. All findings are nickel-free & latex-free. Pricing is for one pair of earrings.